There are many ATM Machines in La Ceiba. As a general rule, every bank has an ATM Machine within its premises. All these ATM Machines in La Ceiba are set up to give you access to them even if the bank is not open. Within the downtown area of La Ceiba you will find many ATM Machines nearby. Of course, one of the issues with the ATM machines is that not all may work with your particular card. This can be an annoying experience. Walking into one ATM machine and finding that it does not work with your card is frustrating. 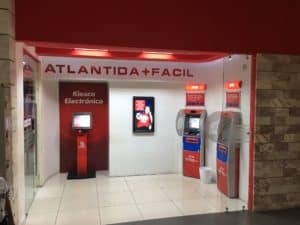 A frequent problem with the ATM machines in La Ceiba is the fact that they tend to run out of money on weekends and paydays. This is annoying, especially when the machine is within a bank. How can and ATM machine run out of money if it is a bank and its open? It turns out that most banks hire a company that is in charge of stashing cash in the ATM machines. They do this according to a preset itinerary. As most bank employees, they do not work on weekends or holidays. 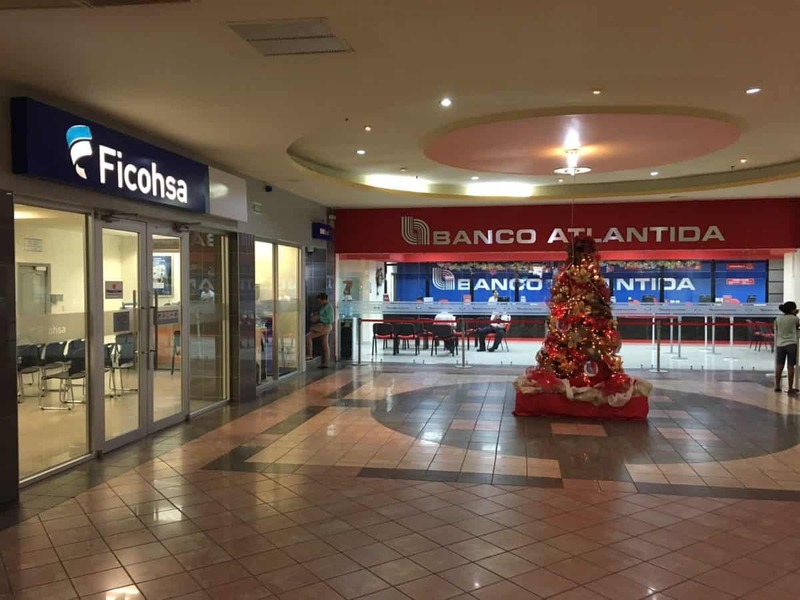 The Largest Cluster of ATM Machines in La Ceiba is the Megaplaza Mall. 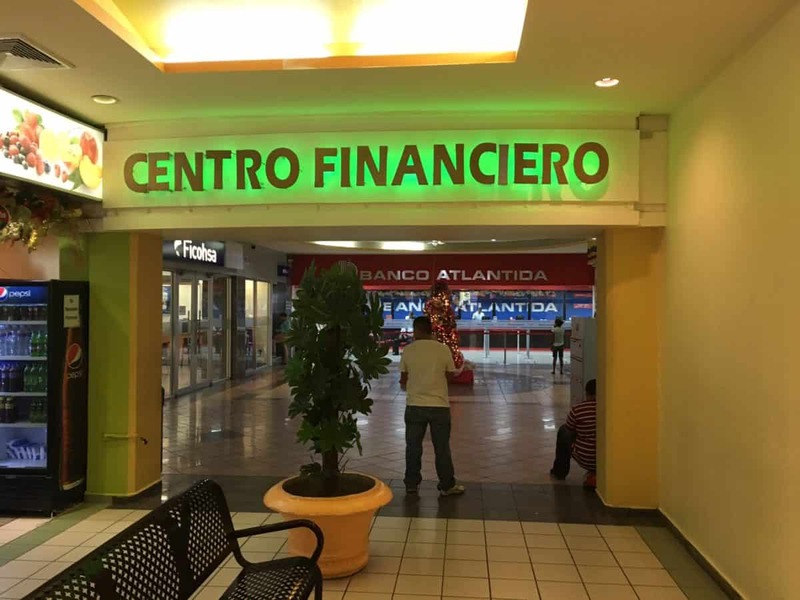 There are many banks at Megaplaza Mall in La Ceiba. There is one spot where you can always find working ATM Machines in La Ceiba. The Megaplaza Mall. There are a total of 7 banks with offices open in the mall. Although they usually open later than other bank branches, at around 10:00 to be exact, they usually close between 6 and 7 p.m. This makes it convenient to do your banking. Each one of those banks has an ATM machine within their premises. This means that the Megaplaza mall offers the biggest cluster of ATM machines in La Ceiba! You are sure to find one that will work with your card here! The mall has another added benefit: security. You can take care of your banking needs more at ease. It beats walking in and out of a lonely area after you withdrew some cash. The Goloson International Airport at La Ceiba also has a couple of ATM machines within its premises. These machines, like all others, only provide cash in local currency. Another area where you can find ATM machines in La Ceiba is at the Port Facility. Banco del Pais has an ATM Machine within the premises of the Roatan Ferry Terminal. If you are arriving to La Ceiba from the islands and are short for cash to pay your cab, this is a convenient location! 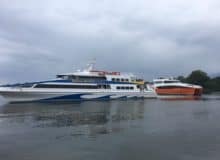 A good tip if arriving or departing from La Ceiba on Hedman Alas or Viana buses. 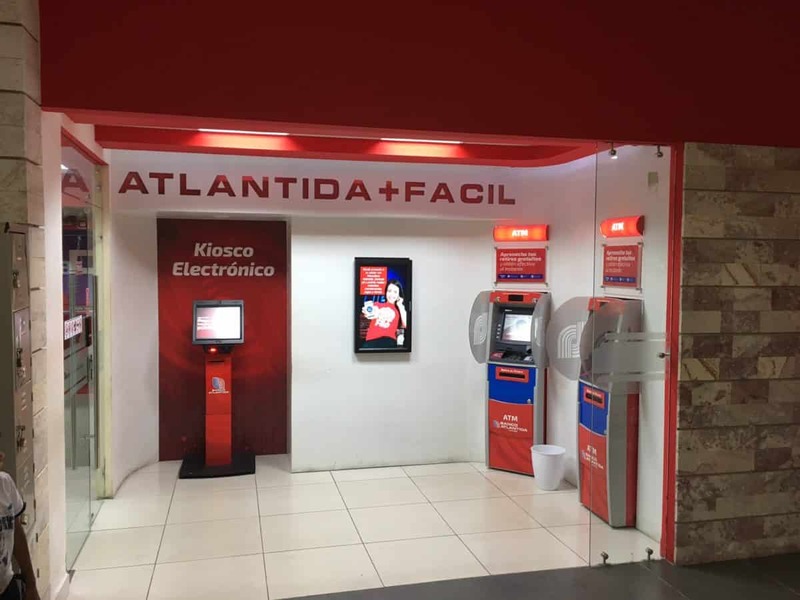 If you need some cash, check the Banco Atlantida ATM Machine located at the Puma Miramar Gas Station. This is the same building where Viana has its terminal. Hedman Alas is on the opposite side the street, so all you need to do is to go across the street! As you can see, there are many different ATM Machines in La Ceiba at your service. Withdrawing cash while in town is easy. 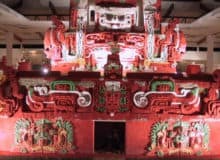 You might take note that if you are using La Ceiba as a stop to continue your journey to Cayos Cochinos, Utila, Guanaja and the Moskito Coast you are best to get your cash here. 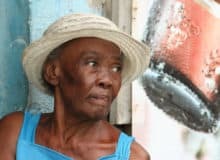 Utila and Guanaja do have an ATM machine, but these are only one or two machines per island. Cayos Cochinos and the Moskito Coast lack this service all together. The sole exception is Puerto Lempira.